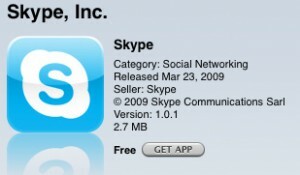 **Skype is now available to download in Canada**!!!! If you’re one of these people, the ONLY way to download the Skype for iPhone App is with a US iTunes account, or through “other means”. Today I’m going to show you another method on how to download Skype in Canada for the iPhone. It’s a simple process and you have two options (and maybe three) to do so. 1. Open a US iTunes Account with a MasterCard gift card from Shoppers Drug Mart. 2. 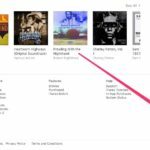 Open a US iTunes Account without a credit card. 4. Once you have opened up a US iTunes account, search for Skype, download it, and sync it to your iPhone. – You will be able to sync both Canadian and US iPhone apps at the same time. – BUT…app updates only show up when you’re signed into the iTunes country account that app was downloaded from. Solve this by periodically signing into each account. – Your iPhone’s iTunes account will be the your computer is logged into during the sync process. Next up: How to Use Skype in Canada Over the 3G Network on Rogers/Fido!